OK that’s better. I can also tell you that this trip to Belgium was sort of hastily cobbled together in less than a month, and decided on a whim when my wife was allowed to extend her European work trip (She works for a travel company now). I didn’t visit a trappist monastery, I met but one brewer, and I received no swag or free gifts to bring back like so many other beer bloggers I’ve read and envied over the past years. Feel better now? But in the end, even a generic trip to Belgium can open the eyes and tastebuds of even the most ardent beer nerd. Because Belgium truly is the beer Mecca, with unique styles and beer flavors that just can’t be replicated in other parts of the world. Even the most generic of trips to Belgium can have the a lasting impact. Here’s some of the highlights of my trip to Bruges and Brussels. Quite possibly the hardest bar in the world to find. I read the reports and actually knew it was hard to find, and it STILL took me over a half hour walking in circles in the same square to figure it out. Through an unmarked alley off of a cobble-stoned street near the Grote Markt, Staminee de Garre is like a European speakeasy. You really almost have to know exactly where it is to get there. But once you do, you’re in for a real treat. 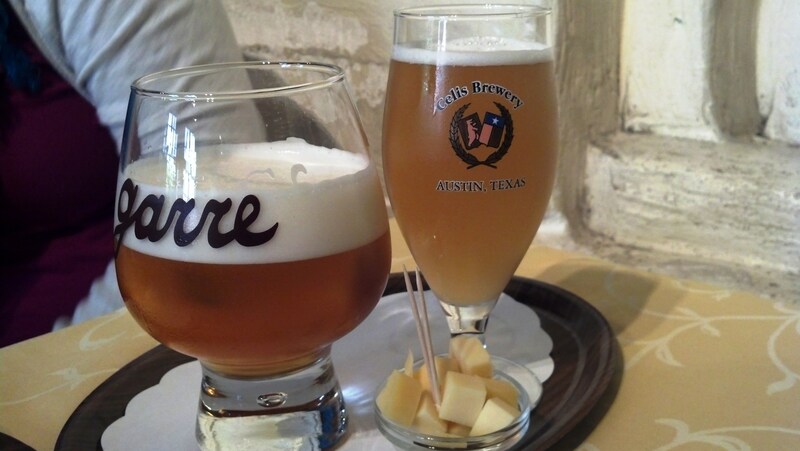 The house tripel, served with young gouda cheese squares, is the only thing you should be drinking here. The interior is all wood, occupying a 16th century house. The stairs are rickety and the floors are uneven, but that’s all part of the appeal. The tripel is the star though. A huge, billowing head tops this 11.5% golden brew, but the alcohol content is totally masked by the flavor. It’s thick, and the head is literally creamy, like it’s been topped with butter. The sweetness lingers as the rest of the flavor hits your mouth. By far one of the best beers in Belgium and a shame you can’t get it anywhere else but here in Bruges. Appropriately named, this beer bottle shop in Bruges has everything you’d ever want to bring back with you to the states. I picked up some De Struis, and a smattering of different sours and gueuzes here. 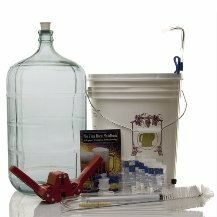 The owner is very nice, and she hand wraps each bottle in bubble wrap and paper for you since she knows where they’re headed. After striking up a conversation about how difficult some of the beers in her shop are to find (and about how many Americans come in there and are excited that they have Stella and Hoegaarden – Jesus Christ people! ), we started talking about Westvleteren 12. While I was mostly lamenting the fact that I wouldn’t be able to get out to St. Sixtus Abbey, she calmly and quietly turned around, unlocked a small cabinet, and produced two unmarked bottles of Westy 12. Without saying a word she rang them up (11 euros each!!) and wrapped them up quickly for me. Needless to say the customer service is incredible at the Bottle Shop. I’ve seen some big beer menus in my time. I frequent Falling Rock Tap House here in Denver, and have been to the Yard Houses and Flying Saucers of the world many many times. 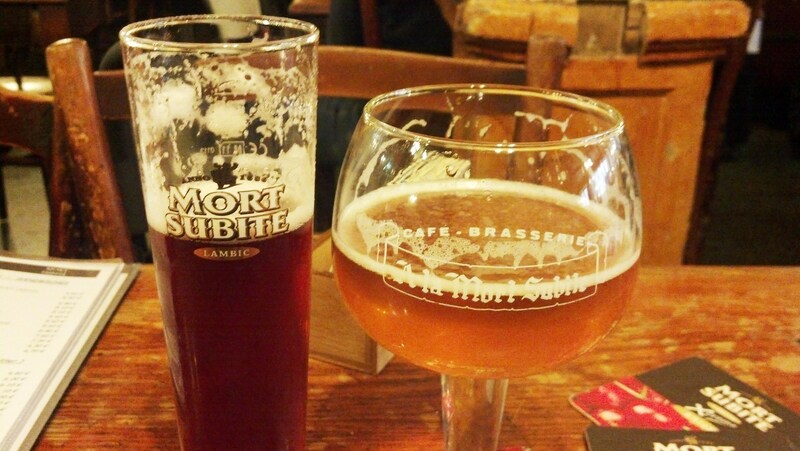 They all pale in comparison to the beer menu at Bierbrasserie Cambrinus. “Cambrinus” is known as the King of Beer in many European countries (sorry, Budweiser), and this beer bar pays tribute to him. They’ve got some beers on draft, but just like everywhere else in Belgium, the good stuff is in the bottles. The menu comes in a wood-bound booklet, and is completely overwhelming. They’ve got every trappist beer (even Westvleterens), and so many other options that are hard to find even in Belgium. And just like everywhere else in Belgium, each beer gets its own special glass. Meaning that they have a glass for nearly every single beer and bottle in the menu! Over 400 different types of glasses with multiples. In case, you know, more than one person wants to drive a random bottle from page 324 of the menu at the same time. The wife and I posted up here for an entire night, sampling many beers off of the bucket list all in one place. What do you call the beer Mecca within the beer Mecca that is Belgium? A white whale? A unicorn? 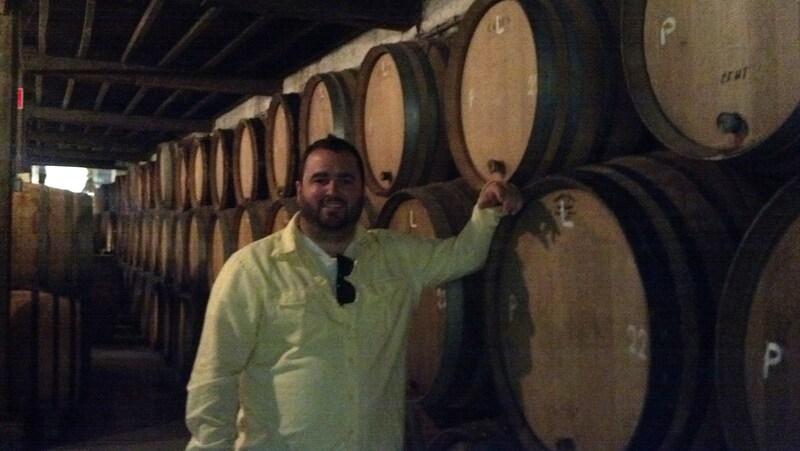 Whatever you wanna call it, Cantillon is the #1 beer nerd brewery, and it happens to be right in Brussels. After all of the hype and never actually having tried more than a sip of anything from Cantillon, I was both ridiculously excited and ready for a letdown. The 6 euro tour is more than worth it (gets you two beers at the end), mostly because it’s self guided. Yes, you just roam around their production facility as you please, following a makeshift list of numbers and arrows. It looks and feels like you’re in a museum though, as everything is so old and dusty they couldn’t possibly be making some of the best beer in the world here, right? But no, it’s all part of the plan. The dust, the old barrels, the old tanks, and even the spiders, are all part of an ecosystem that produces incredible lambics and sours. The one thing that stuck out to me was the complete unpretentiousness of the whole thing. The owner’s daughter is there, answering any questions you have. Everyone is polite, and willing to let you taste whatever you want. It’s almost like you’re in a new endeavor where everyone wants to make a great impression, although it doesn’t seem like they’re trying all that hard. It’s just the way it is. I’ve felt more out of place on big brewery tours like New Belgium and Dogfish Head, where the constant talk about how awesome they are becomes off-putting. At Cantillon, it’s almost like they’re genuinely surprised and happy that people like their beer, and don’t feel the need to change what they’re doing to meet the demand. They produce what they can and are happy to share it. 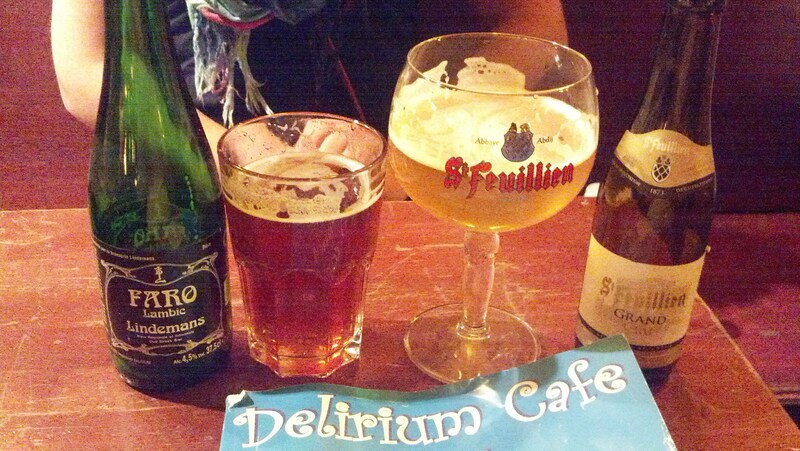 From the makers that bring you Delirium Tremens, comes Brussels’ best beer bar. This 3-tiered wonderland of beer has to be seen to be believed. The main floor has everything from Brouwerij Huyghe on tap in a sprawling bar space. Get the Delirium Red. Just trust me here. The top floor is a “import” bar, full of beers from all over the world. They’ve got some American goodies like Stone and Jolly Pumpkin. And price jacking goes both ways people, as a bottle of Stone Smoked Porter was going for 22 euros! The basement of the Delirium Cafe is where the magic happens. 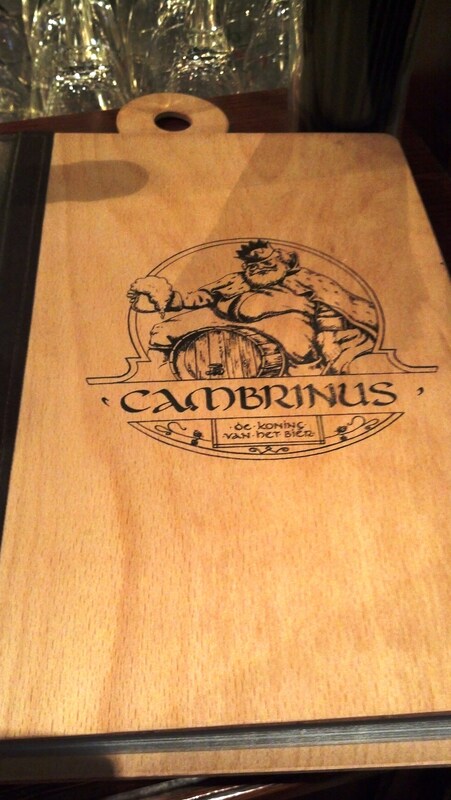 It’s bottles only, complete with another giant book sized menu just like a Cambrinus. Rarities like Bush de Noel and Teneke Van Heule were enjoyed here, along with many of the aforementioned bucket list beers yet to be crossed off. This place gets jam packed late at night, with minimal seating so get there early or grab your beer and walk upstairs and drink in the alley. Started in 1928, this brasserie is a throwback to the flapper era. The namesake beer is a white lambic sour that is unlike anything you’ve ever had. Named after a dice game called “Sudden Death” that office workers would play at lunch before heading back to their jobs, this family owned establishment is the perfect hangout in Brussels to sample some authentic gueuzes. In addition to their trademark white beer, they’ve got faro, cherry, raspberry, and peach flavors. The sweetness is outdone only by the tartness of these lambics, which hit your jowls and forces you to pucker up. While maybe not the best gueuze on the market, the period interior and wide selection is a great way to spend an afternoon.